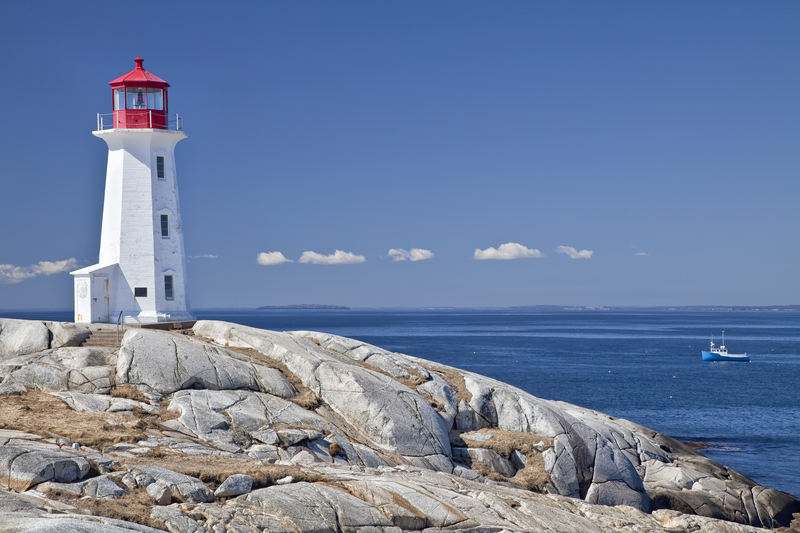 Tour highlights include a visit to Peggy’s Cove, a charming fishing village with the picturesque lighthouse (one of the world’s most photographed places), and Lunenburg, a small port town and UNESCO World Heritage Site. Learn about the highest and wildest tides at Hopewell Rocks, where time and tides (up to 50 feet) have created distinctive sandstone formations topped with trees. 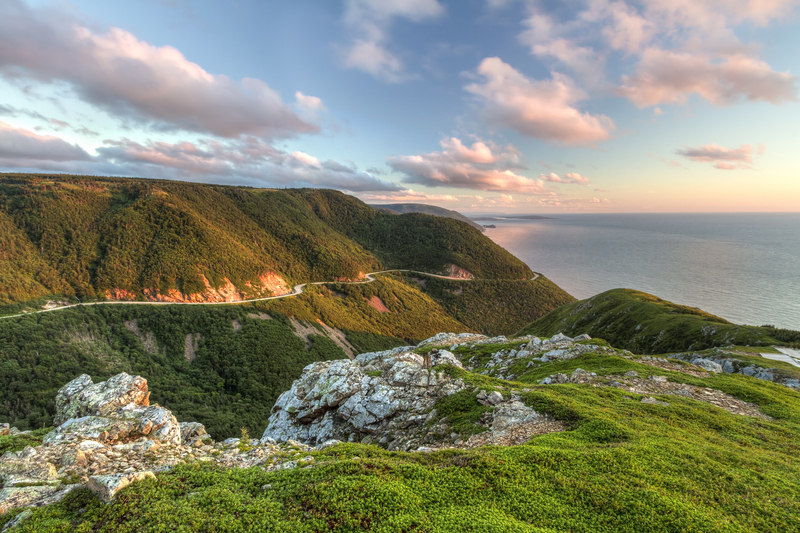 On Cape Breton Island, keep your camera ready as you embark on the Cabot Trail, one of the most scenic drives in the world, and visit Cape Breton Highlands National Park, resembling the Scottish coastal regions. More scenic beauty awaits you in Prince Edward Island National Park, famous for its wind-sculpted dunes and sandy beaches. Also enjoy a ferry ride across the Northumberland Strait. Enjoy the bounty of the land or impossibly fresh lobsters, oysters, and mussels at cafés and restaurants throughout the region. Welcome to the East Coast of Canada and the beautiful harbour city of Halifax, Nova Scotia, the first stop on our wonderful tour through the Maritimes. Arrive at the hotel this afternoon and enjoy a welcome dinner this evening, with time to meet the Tour Director and meet your fellow travellers. Today we take a city tour of the Halifax, which includes the Victorian Public Gardens, Titanic Grave Sites, Historic Properties, Province House, Old Town Clock and more. Then we visit the Canadian Museum of Immigration that occupies part of Pier 21, the former ocean liner terminal and Canada’s last remaining immigration shed, showcasing exhibits, immigration history and the ship arrival database. This afternoon, we visit the Maritime Museum of the Atlantic located near the wharf, rich with maritime history, stories, events and people that define Nova Scotia. The rest of our evening is at leisure, which could be spent on Halifax’s harbour front, visiting unique shops, walking along the promenade, or eating at a local restaurant. This morning we travel the rugged south shore of Nova Scotia, to the world famous town of Peggy’s Cove. We visit Peggy’s Point Lighthouse, which sits high upon the smooth wave-worn granite of the coast, and is one of the most photographed lighthouses in Canada. Before departing Peggy’s Cove, we visit Acadian Maple Products, a family owned and operated business, and largest producer and exporter of maple syrup in Nova Scotia. Continuing along Nova Scotia’s rugged coast, we visit picturesque Mahone Bay, showcasing three elegant churches gracing the sheltered harbour of this quaint village. We visit UNESCO World Heritage Site of Lunenburg, one of Nova Scotia’s most historic and beautiful towns and home of the famed fishing schooner Bluenose II. Here we visit the Fisheries Museum of the Atlantic to learn the history of commercial fishing in Atlantic Canada. Today we visit Grand Pre National Historic Site and World UNESCO Heritage Site, as we learn about the great upheaval of the Acadians, the descendents of French Settlers. We then travel to Annapolis Royal, on the Evangeline Trail, with over 150 heritage buildings including the oldest wooden house in Canada. We have some free time to explore the area and enjoy local food before continuing our journey to New Brunswick. This afternoon we board the Digby ferry for a scenic crossing on the Bay of Fundy, the 270km stretch of water between Nova Scotia and New Brunswick, and home to the world’s highest tides. We enjoy a short city tour of the city of Saint John, including the natural phenomenon Reversing Falls, a series of rapids and whirlpools on the Saint John River. This evening we arrive in the quaint village of St. Andrews by the Sea, with a treasure trove of beautiful architecture, unparalleled scenery and rich marine life. This morning we visit the 27 acre Kingsbrae Gardens, with over 50, 000 perennials in many themed gardens. Our journey continues as we travel to Fundy National Park to the incredible Hopewell Rocks, home of the Flowerpots, peculiar formations that are shaped by tidal erosion and stand 40-70 feet tall. These rocks are forested islands at high tide and resemble flowerpots at low tide. After visiting this incredible area, we continue to Moncton, located in southeastern New Brunswick, where the rest of our evening is spent at leisure. This morning we visit the world-famous Magnetic Hill, a natural phenomenon unique to this area, that completely defies the laws of gravity. Witness our own motorcoach coasting uphill with no power at all. 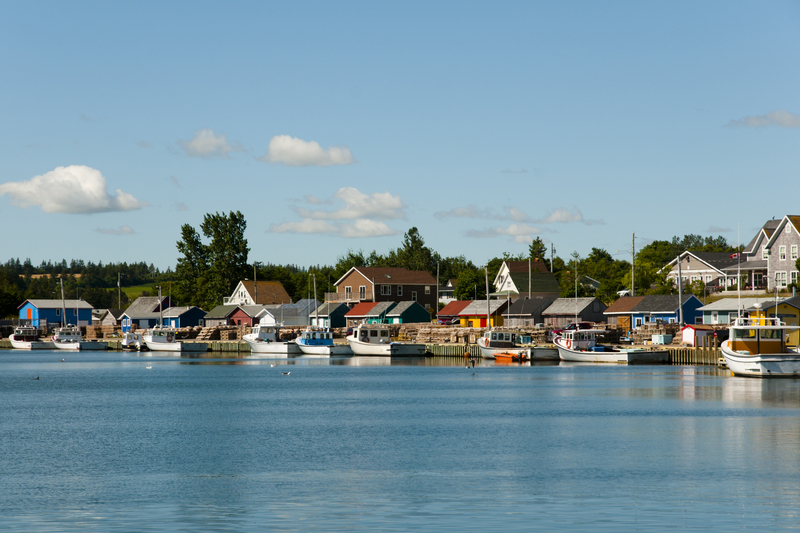 We then continue to the town of Shediac, known as the “Lobster Capital of the World”, where we see the World’s Largest Lobster before we embark on a lobster cruise to learn about lobsters and the fisheries, while we savor a freshly cooked lobster lunch on board. Following our cruise, we make our way to the province of Prince Edward Island crossing on the Confederation Bridge. The Confederation Bridge is 12,900 metres long and crosses over the Northumberland Strait, linking mainland New Brunswick and Prince Edward Island. We soon arrive in the capital city of Charlottetown, and spend the remainder of our evening at leisure. Charlottetown is the capital of Prince Edward Island, and is located on the southern coast of the province. Our city tour highlights some of the historical buildings, like the beautiful St. Dunstan’s Basilica and The Province House National Historic Site, where the Charlottetown Conference was held in 1864. Today we explore many of Prince Edward Island’s treasures, including Cavendish National Park and the Green Gables Heritage Place, where you can walk through the memory-filled rooms of the beloved fictional character Anne of Green Gables. We sample some of the best preserves in the world at the Prince Edward Island Preserves Company and visit the fishing village of North Rustico. Today we travel to the mainland; a scenic journey brings us to Margaree, Nova Scotia, a harbour town located on Cape Breton Island. We spend time at the Alexander Graham Bell National Historic Site, a 10-hectare property overlooking the Bras d’Or Lakes. This incredible display showcases the life of Alexander Graham Bell and gives us a look into his mind with many artifacts, photos and full-scale replicas of his inventions. The area surrounding Margaree, like most of the Maritimes was built on the fisheries industry. We visit the Margaree Fish Hatchery, the oldest fish hatchery in Nova Scotia, where we enjoy a tour and learn about the incredible history and how it shaped Nova Scotia. Next we visit the Margaree Salmon Museum, a quaint stop in this incredible area. This afternoon enjoy some time at leisure to explore the area as you choose before rejoining the group for a wonderful seaside dinner and some wonderful Celtic music the area is so famous for! Today we experience the picturesque and renowned Cabot Trail. 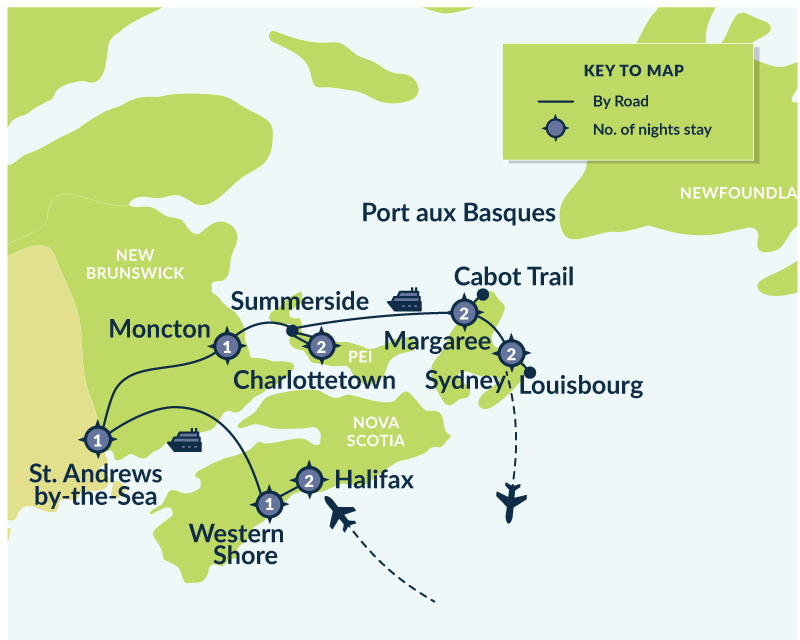 We tour Cape Breton Highlands National Park, with stops at Lone Shieling, Pleasant Bay and Neil’s Harbour with spectacular seascapes, sweeping beaches, rare plants and abundant wildlife. We conclude our day Sydney and enjoy the evening to explore at our own leisure, there are plenty of local eateries and entertainment options, and perhaps get a picture taken with the world’s largest fiddle! Today we visit the Fortress of Louisbourg National Historic Site, stepping back in time to a bygone era when the French and English fought for control of the New World and Nova Scotia was the battleground. After a guided tour, we have additional time to explore the area at leisure. This afternoon we visit Cape Breton’s Miners’ Museum, paying tribute to the region's long and rich coal mining history and home to the famous choir of miners - The Men of the Deeps. We take an underground tour of the Ocean’s Deep Colliery beneath the Museum’s building before returning to Sydney. All rates are per person in Canadian, LAND ONLY and are subject to a minimum of 20 paid passengers. In order to make each tour a special experience space is limited to 26 people. We encourage you to book early to avoid disappointment and for the best air fares. Flights: Call us for flight and air fare information from your closest airport in Canada as we can often access flights not easily found on the Internet and offer alternatives. Singles wishing to share: We often get requests for single travellers wishing to share accommodation. If you are interested in traveling with a companion please let us know and we can try to match you up with a suitable traveling partner. Transfers: To and from the airport to your hotel are included on the tour dates. Airport transfers can be arranged for a cost when you purchase extra nights before or after the vacation. Insurance: Medical insurance is mandatory. Cancellation and trip interruption insurance is optional. Premiums depend on your age, the length of time away and the cost of your tour and insurance will be discussed and quoted at the time of booking. Forms of Payment: Cheque, Visa and Master Card or by e-mail. Payments made by credit cards will be subject to a 3 percent processing fee. For information regarding e-mail payments contact your financial institution. It is easy and convenient. Cancellation Policy: In the event that you have to cancel you must notify McPhail Travel immediately in writing. The following scale of charges will apply according to the date that notice is received. Air fare penalties may differ and will be discussed at the time of ticket purchase.